This week our focus shifts to Specialty and Other Products. Everything a sweet tooth could wish for — bulk soft sour candies, belts, gummy bears, licorice, locally handmade chocolates, organic candies, European and international candies, freshly made organic cotton candy with exotic powder fruit and spices and much more! Stop and smell the roses and all of the other fresh-cut flowers and bouquets at AE floral, Liberty Public Market’s flower shop. Brighten your home small potted plants, orchids, succulents, air ferns, candles, stationery and other home decor items. Ask us about custom pre-orders for your events and parties, too. Already operating culinary shops in Encinitas and Del Mar, Baker + Olive is known for its tasting pantry featuring premium olive oils from around the world and aged balsamic vinegars from Modena, Italy. It will also be selling fresh bread, assorted salts and spices, tapenades, jams and locally made bone broth. What better to go with freshly baked bread than a wedge of cheese from Venissimo’s selection of artisan varieties from around the world. 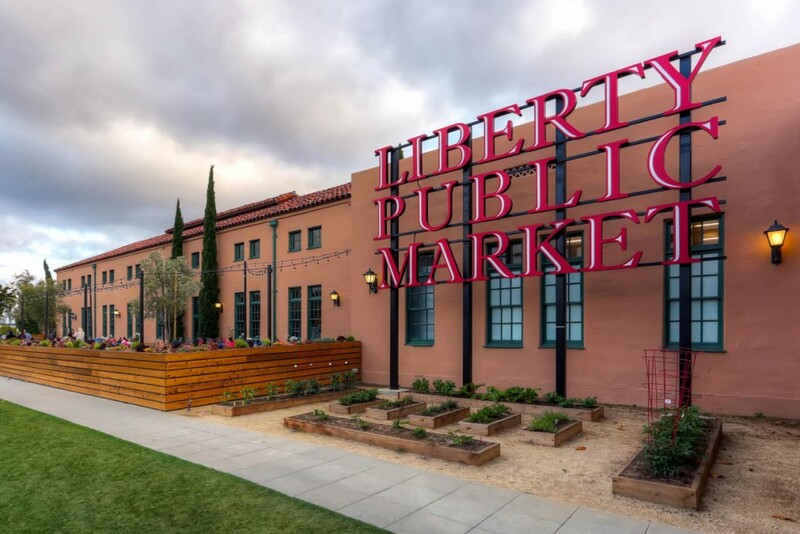 Liberty Public Market will be the longtime purveyor’s fifth location in San Diego County. Look for its signature grilled venini cheese sandwiches, cheeseboards, charcuteries, jams, crackers, chocolate and picnic packs to enjoy on Liberty Station’s green spaces.